Fly and dive with Mike Ball 3 day, 3 night trip to the Great Barrier Reef! Enjoy a one hour scenic flight over the reef to Lizard Island, where your diving adventure begins! Guests will get to enjoy up to 12 dives, getting to checking out the diverse marine life of Cod Hole and the Ribbon Reefs of the Great Barrier Reef. With diverse concentrations of corals, colourful fish, amazing marine life and even sometimes minke whales, Mike Ball offers the ultimate diving experience over a 3 day tour. Check in bright and early to start your day by 7:15am. Next head to the Cairns airport, where guests will hop on board their one hour scenic flight to Lizard Island, getting to see the reef from above. Afterwards, guests will board Spoilsport for their 3 day adventure. Here you will find comfort, stability and plenty of space on board, where you can enjoy cruising within sheltered waters to your diving destinations! Diving starts before lunch, with 2 dives and 1 night dive on the agenda at Cod Hole, Cod Wall or Challenger Bay. Day 2 will begin with an early rise so guests can start diving by 7:00am. The day will consist of 4 dives and 1 night dive at Lighthouse Bommie, Pixie Pinnacle, Andy's Postcard, Clam Beds or Vertical Gardens. This is the last full day on board Spoilsport, where guests will get to take advantage of 4 dives at Flare Point, Joani's Joy and Steve's Bommie. In the evening, Spoilsport will host a fun Aussie BBQ where guests get to dress up in their loudest tropical shirt. Overnight, Spoilsport will make her way back to port. Early docking and a light breakfast on board Spoilsport before disembarking. The Ribbon Reefs are known for their diverse marine life, sitting right on the edge of the continental shelf with waters full of nutrients, ideal for many species of fish and coral. The Cod Hole is known for its enormous species of potato cod. The docile species are as big as the divers who frequent the reef and are extremely friendly towards their visitors! Lighthouse Bommie is one large pinnacle where many species of marine life are known to frequent. Home to sharks, rays, turtles and reef fish, olive sea snakes, stonefish and more, it's also one of the best places to spot minke whales in whale season! Gotham City is named after the batfish that live there, but this site is also known for its sharks and giant trevally. 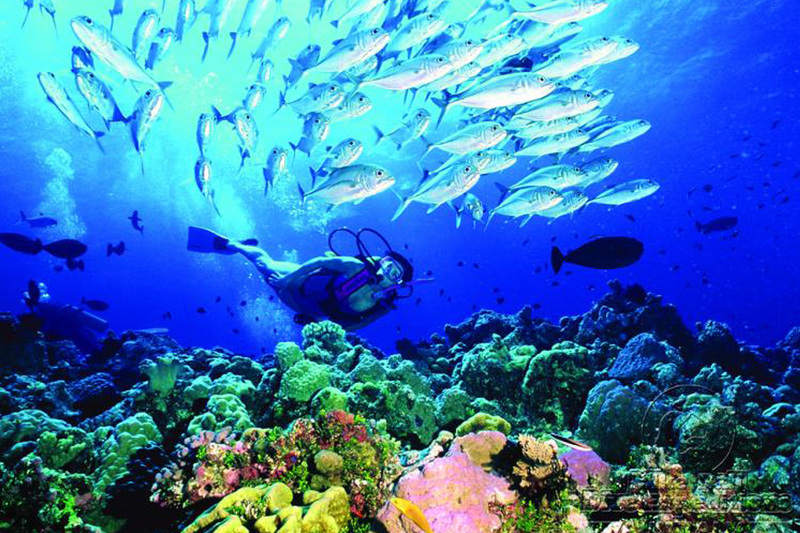 It's the ideal place for night diving, due to its many species of hunting fish that make for an amazing nightly show. Pixie Pinnacle is another pinnacle dive, centering around one diverse bommie. It's full of diverse marine life, as well as flame fire slams and disco clams, known for their flashing lights. Coral Kingdom isn't just full of corals, but is also known for its resident giant clams, bump headed parrotfish and inquisitive barracuda. Steve's Bommie is said to be a photographer's dream with an incredible quantity of marine life. With stonefish, clownfish, turtles, octopus and scorpionfish, this is a great place for seeing some of the most beautiful species on the reef. *Please note dive site selection is based on the best dive sites available. Less experienced divers receive complimentary 'site orientations' as necessary, while experienced divers are given the freedom to plan their own dives. Please note divers must be 12 years of age.